Spa Massage Hair Nails Mykonos. Beauty Services that include signature treatments, facials and preparation for the best sun tanning. 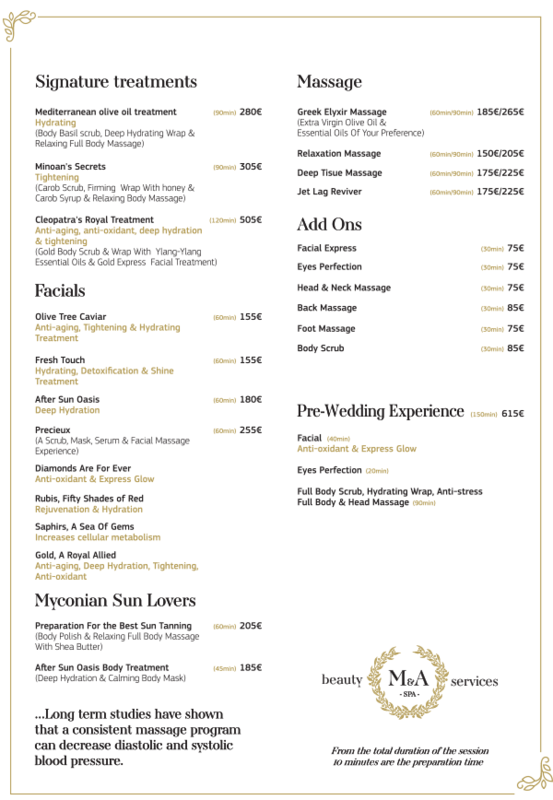 Check the price-list below for more beauty secrets and contact us for more information or special requests.